6mm Safe-slot gratings for pedestrianised areas (D400). 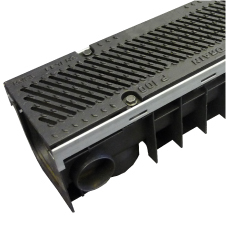 15mm Hydro-Slot for maximum capacity drainage (F900). Stepped falls available for increased hydraulic performance.